A long exposure for a long night. Rain is happening and I must go. The shot is from the upper Pier 66 platform, towards Seattle’s Great Wheel and Century Link Stadium. 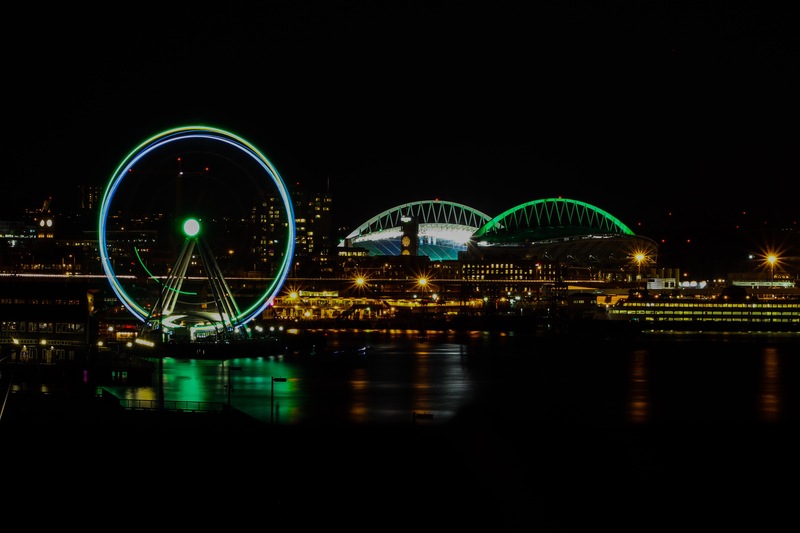 Posted on February 24, 2016 by Orion T.	This entry was posted in Citynature, Photography and tagged Ferriswheels, nightlife, Photography, Seattle, travel, Waterfronts. Bookmark the permalink.